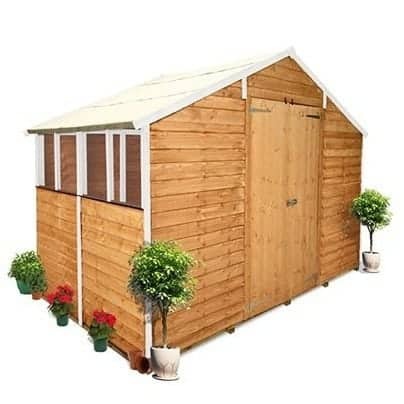 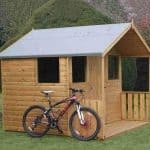 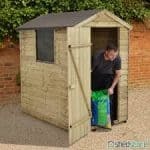 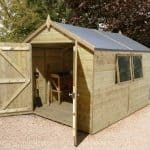 If you’re looking for a strong mid-sized garden shed then search no more. 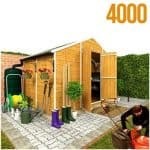 The BillyOh Lincoln 400L is constructed from hard wearing and long lasting wood, with overlap cladding it will be a welcome addition to your garden. 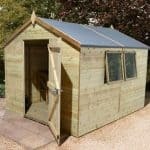 Complete with windows for a bright and airy feel inside and the large double doors lend themselves well to the transportation of bigger pieces of garden equipment. 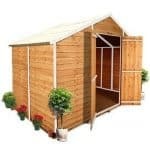 A very nice looking out building, it will compliment your garden well and the white trim gives it a stylish edge.